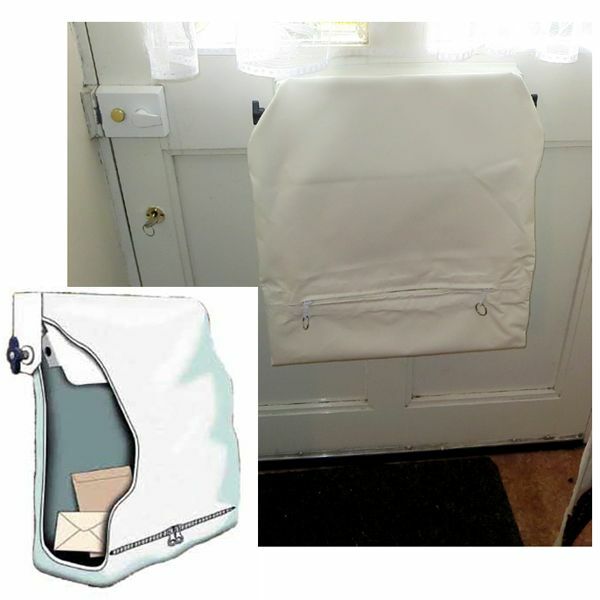 These practical and convenient anti arson letterbag mail collectors fit quickly and easily over the inside of the letterbox in your street door, and are designed to collect mail (or other items) posted through your letterbox. A real boon for the elderly or infirm,as any mail delivered through the letterbox is easily collected by unzipping the letterbag, eliminating the need for anyone to bend down to the floor to pick up mail. It also eliminates the risk or pets chewing or destroying any mail items delivered by your postman! Other benefits include the unit acting as a draught excluder - preventing draughts through the letterbox, and where the unit is fitted with one of our optional special ALF - fire extinguishant tubes, the unit offers effective protection against arson attack through the letterbox. 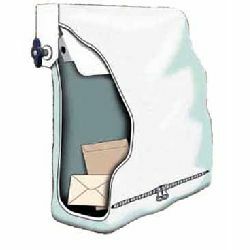 Quick and easy to fit, unlike clunky cages or steel box type mail collector products, these practical letterbag units can even be fitted to doors that open back against a wall or other structure.